This title, first published in 1987, provides an authoritative account of both the science and the politics of acid rain. 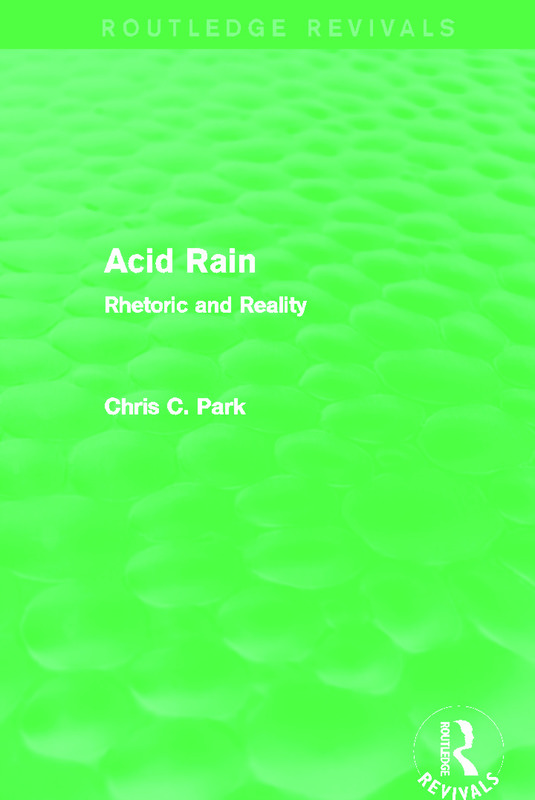 Chris Park places the debates surrounding acid rain in context, and examines the full implications of scientific studies and the effects of acid rain on surface waters, soils and buildings. Evidence is drawn from around the world, including an examination of the damage in Scandinavia and Germany and the effects of acid rain in the U.K. and U.S.A. A comprehensive and relevant work, this is an important guide for students of geography, environment and sustainability and energy policy.